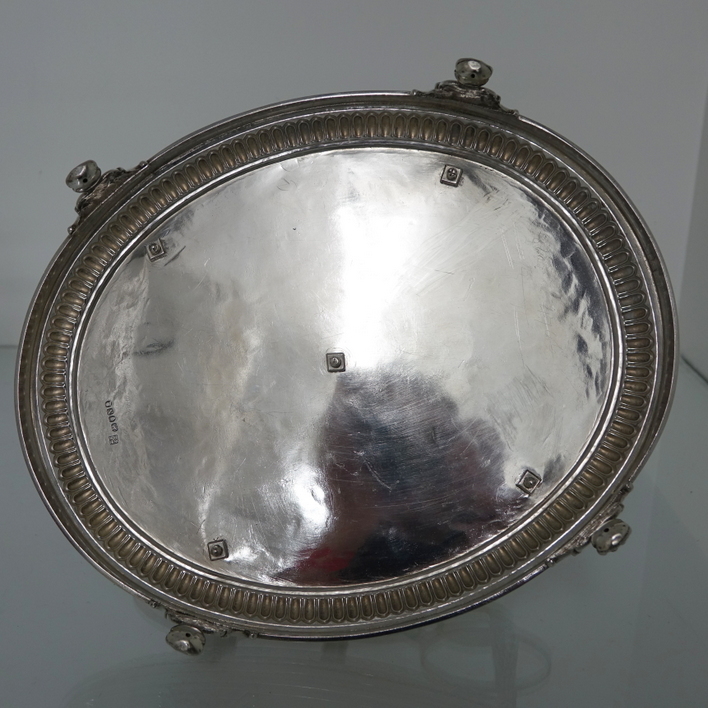 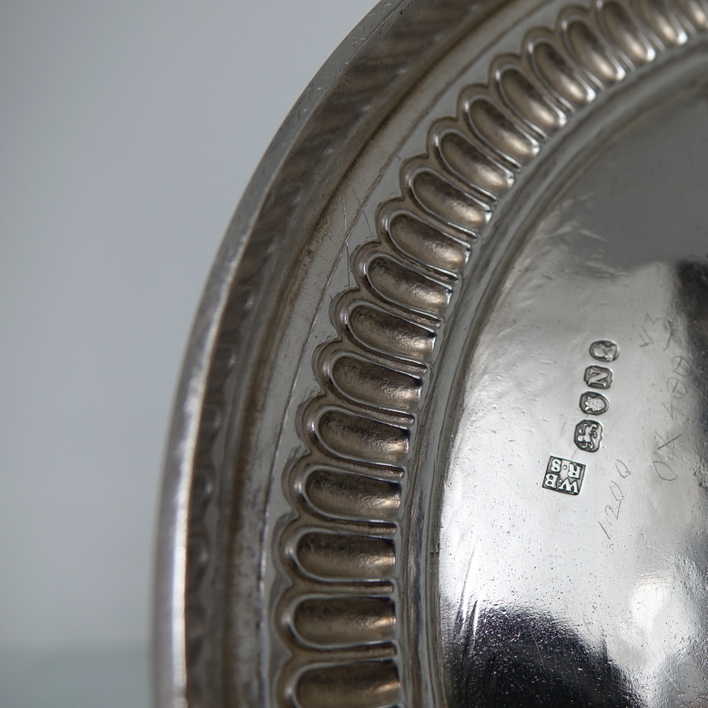 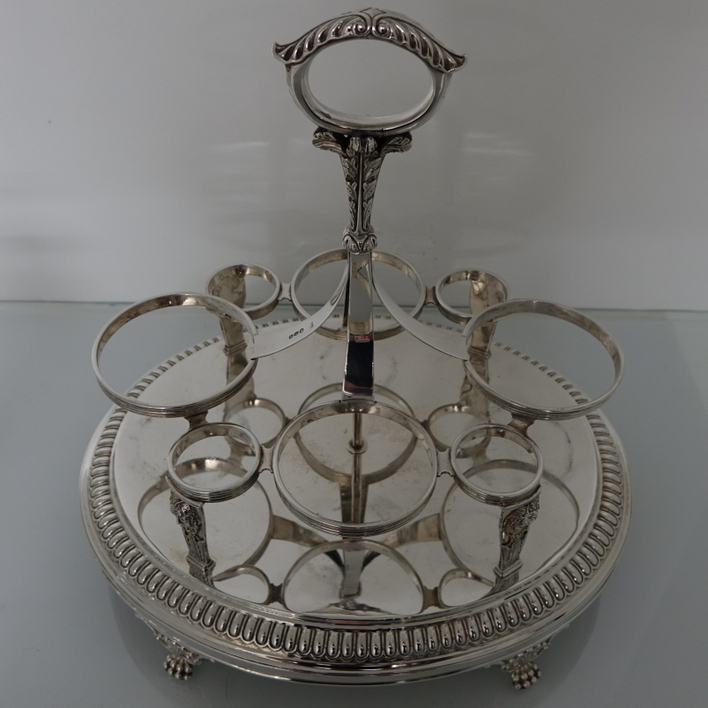 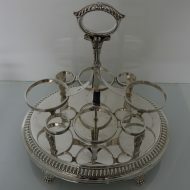 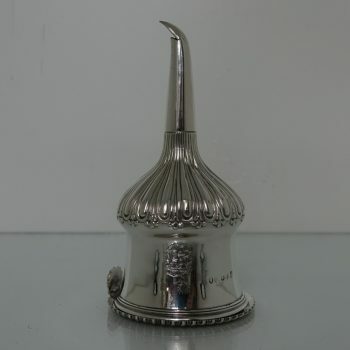 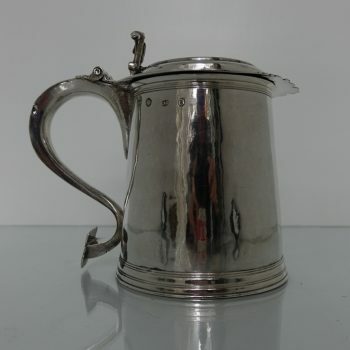 A very large and important looking silver eight bottle oval Georgian cruet. 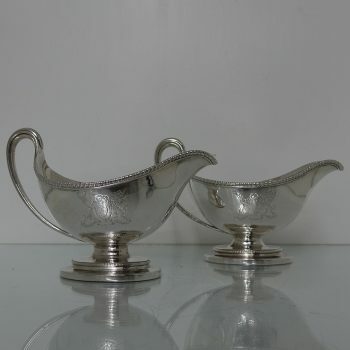 A very large and important looking silver eight bottle oval Georgian cruet. 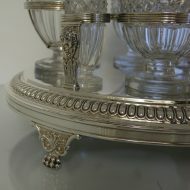 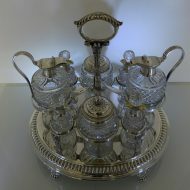 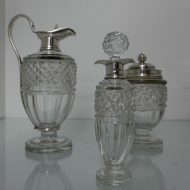 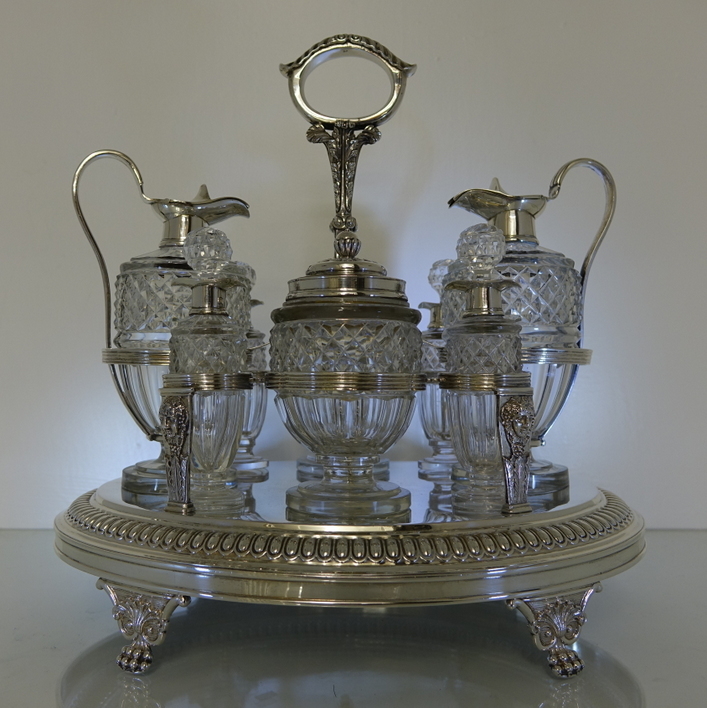 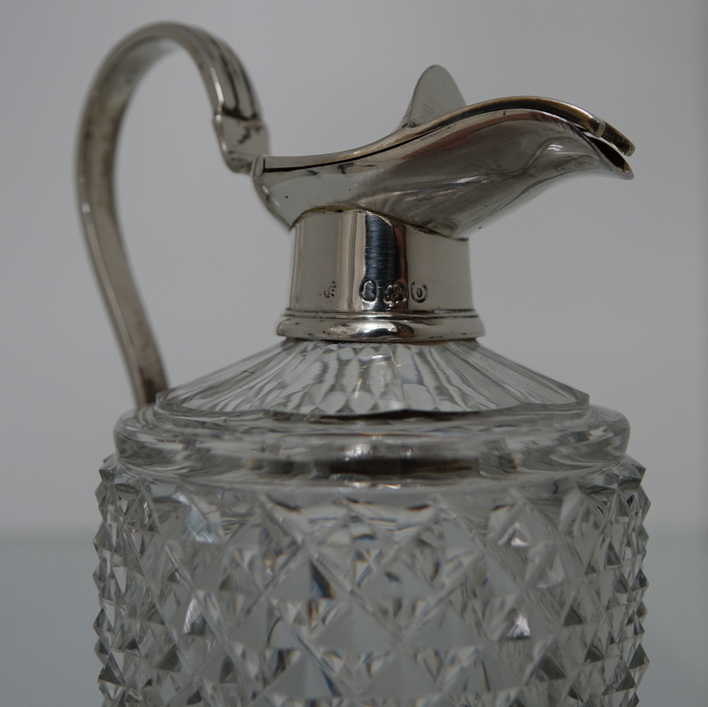 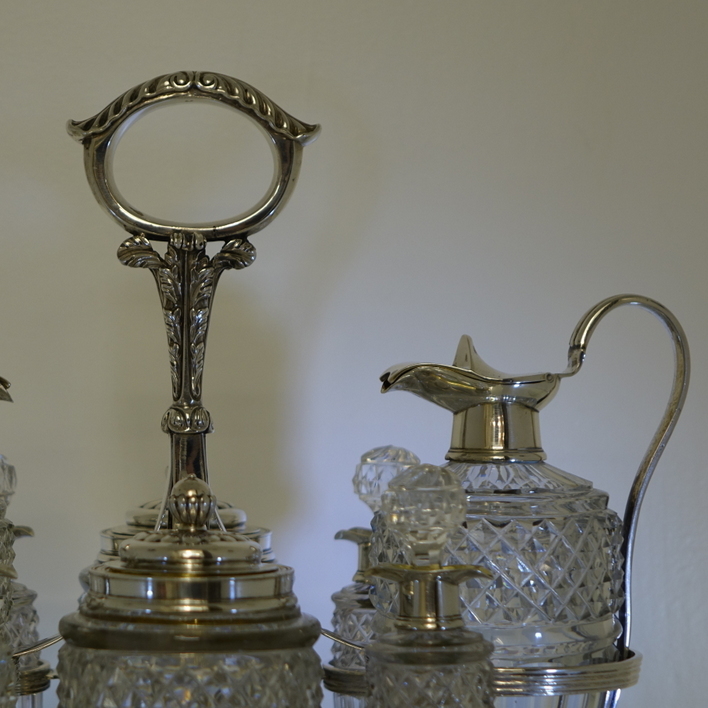 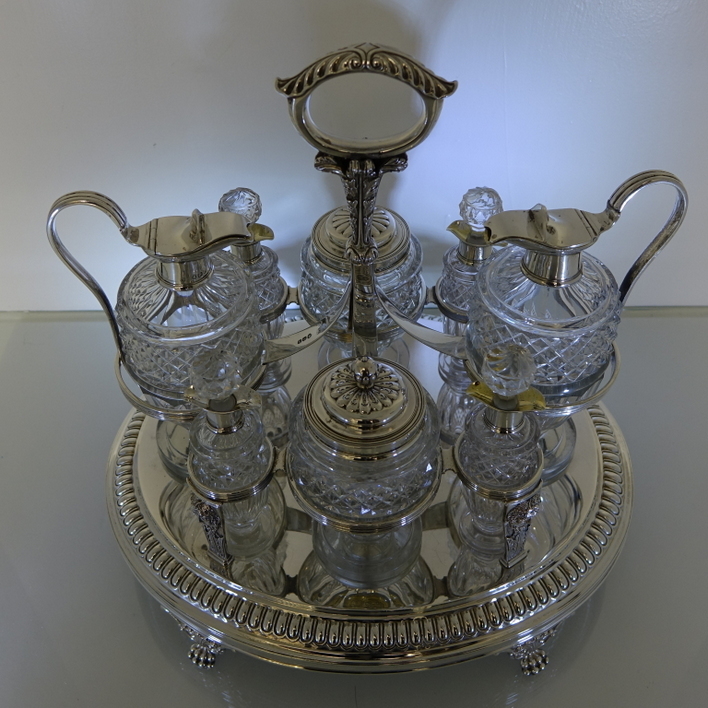 The cruet is very grand in size with a tongue border, cherubs and reeded decoration. The cruet has decorative claw feet and acanthus leaf handle. The glass bottles are hand cut with half fluting and hobnail decoration. Condition: Very good throughout. 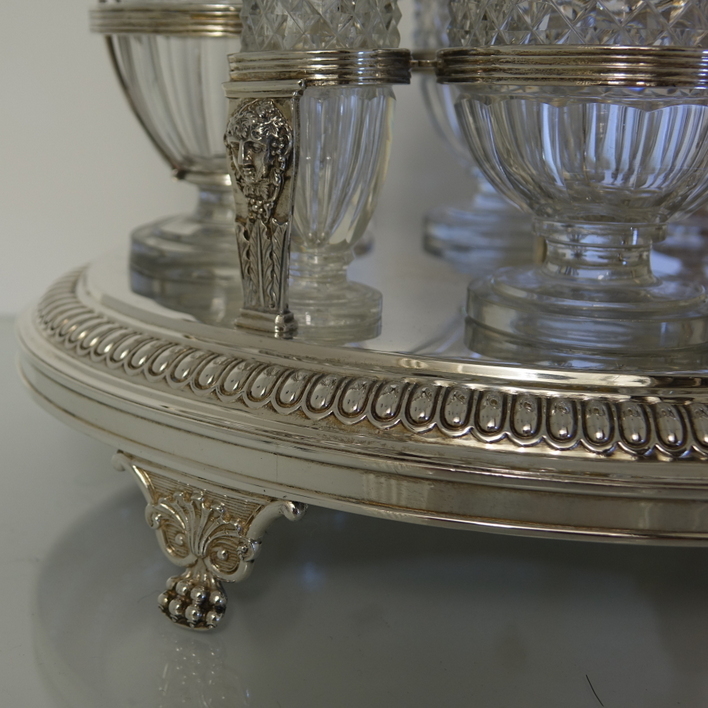 All pieces correctly marked.